I have lots of fond memories of eating this salty, crunchy snack in restaurants—sort of in the way most restaurants in the U.S. serve bread at your table before you order—and at family gatherings in Mexico. I hope it reawakens similar memories for you, too, or helps create a new snacking tradition with your family. This simple appetizer is perfect for a cocktail hour, a party or just munching as an afternoon snack. 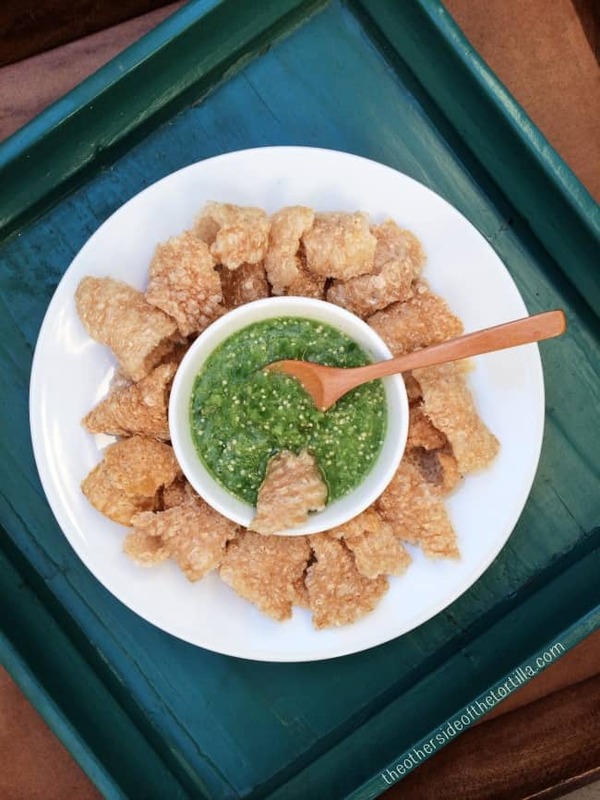 Chicharrón con salsa verde is a popular dish in Mexico. Remove husks from tomatillos and wash them to remove all sap. Gently run them dry in a kitchen towel to remove any remaining sap. Add 1 cup tomatillos, 2 teaspoons Knorr Suiza, 1 small chile serrano, 1 clove of garlic and a 1/4-inch slice of white onion to a small food processor or blender and pulse for about 10 seconds at a time for a minute, or until the salsa is mostly smooth. Pour salsa into a serving bowl with a spoon. Break up the chicharrón into bite-sized pieces (about the size of a small potato chip). 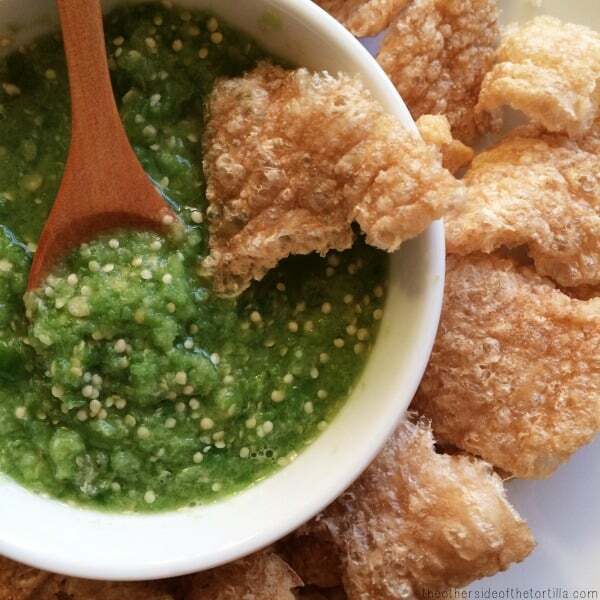 Serve chicharrónes side by side with the salsa and use for dipping. Store any leftover salsa in an airtight container, such as a glass jar, in the refrigerator for up to two days. Like this recipe? Please share it on Facebook and Pinterest with your friends!